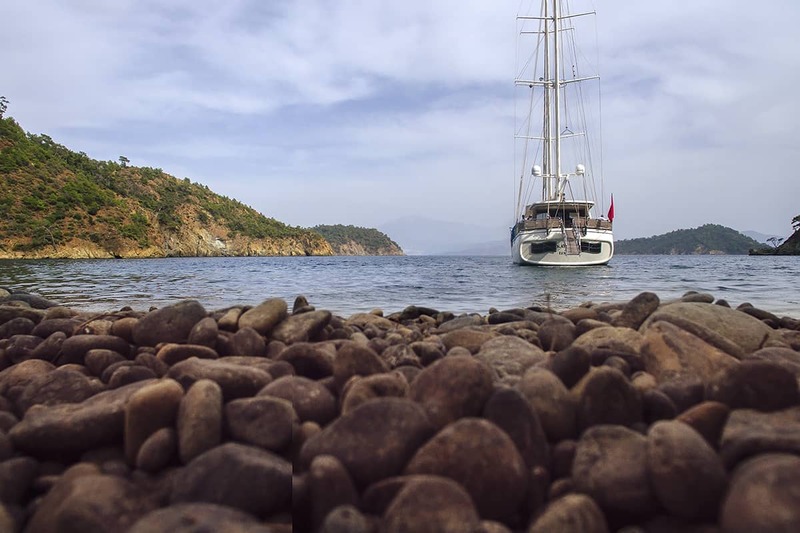 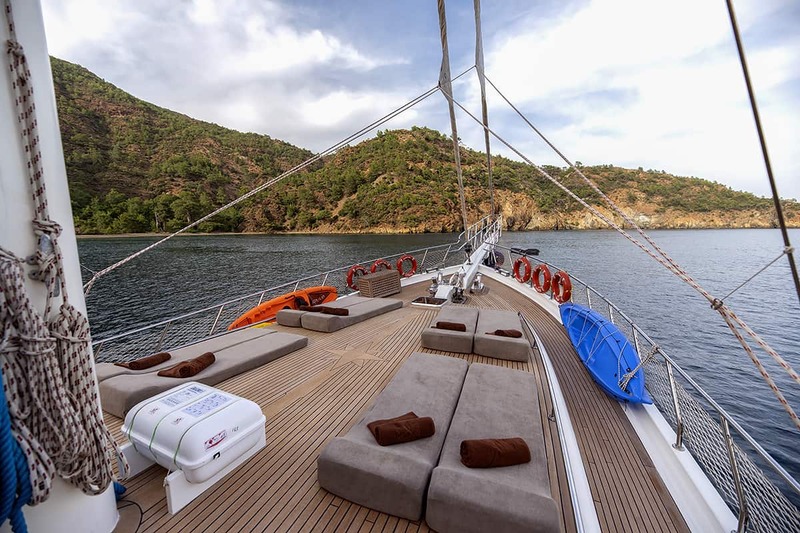 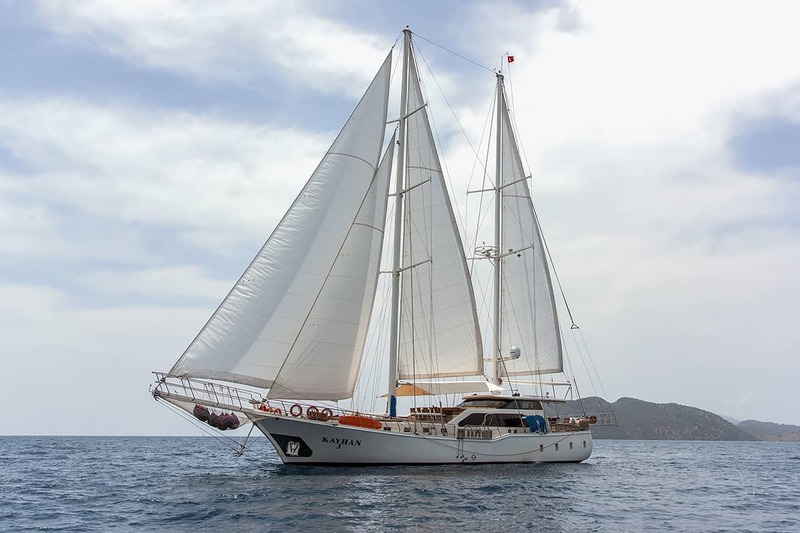 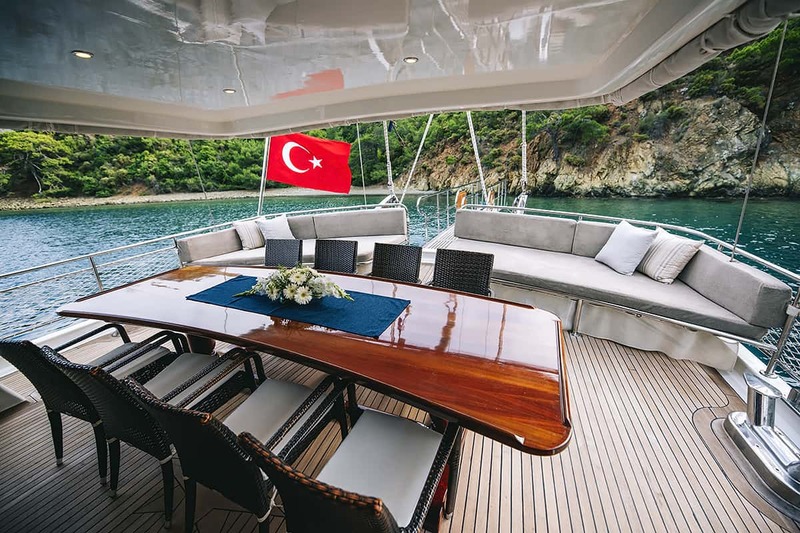 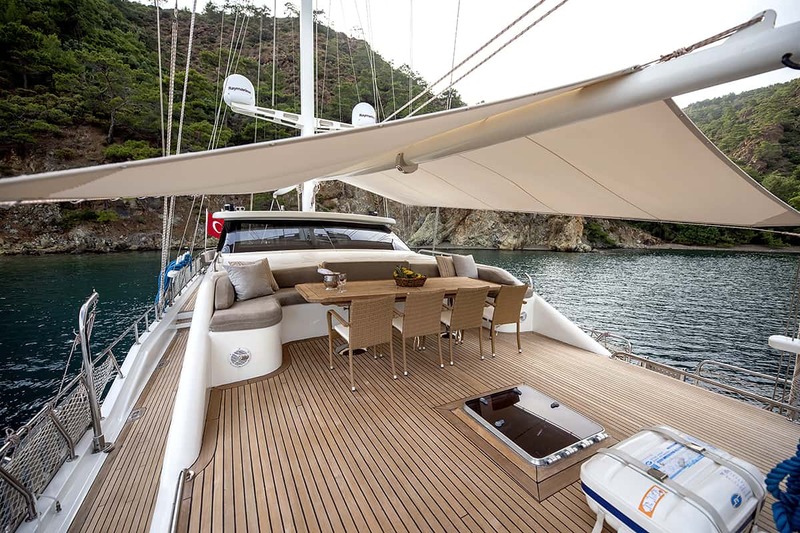 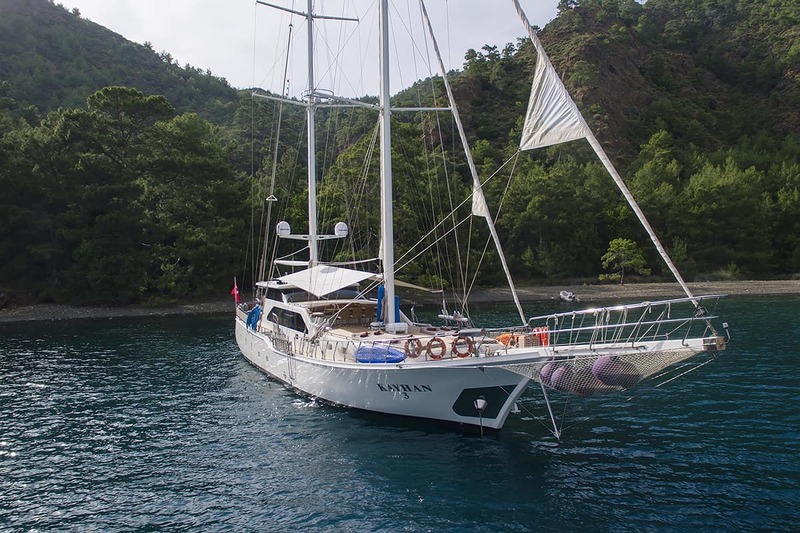 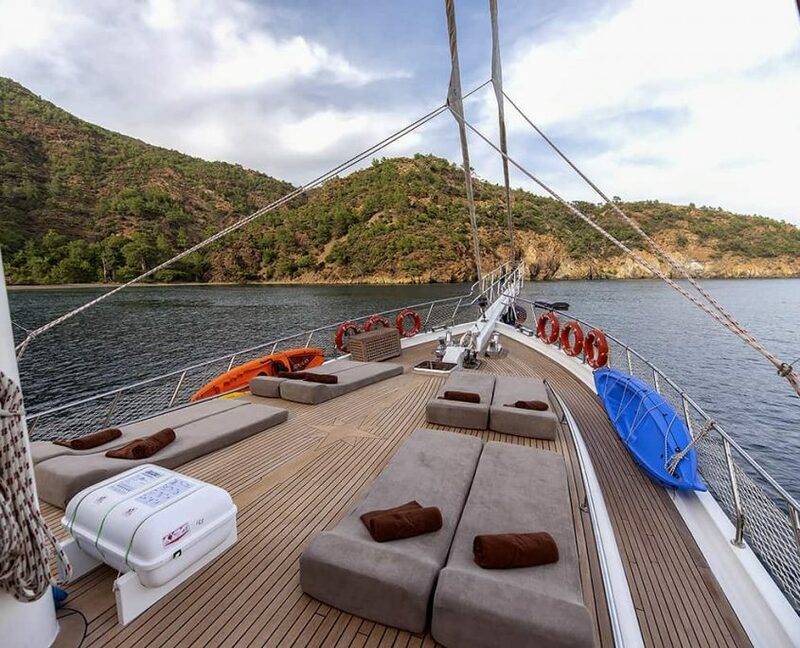 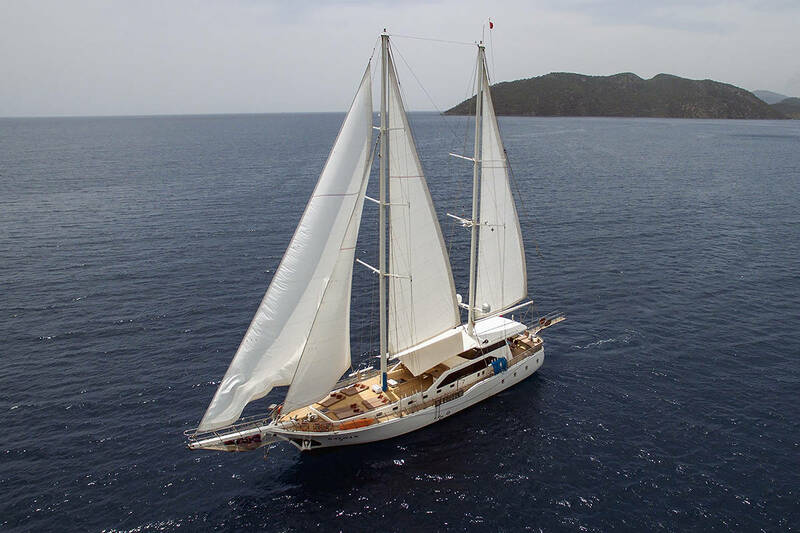 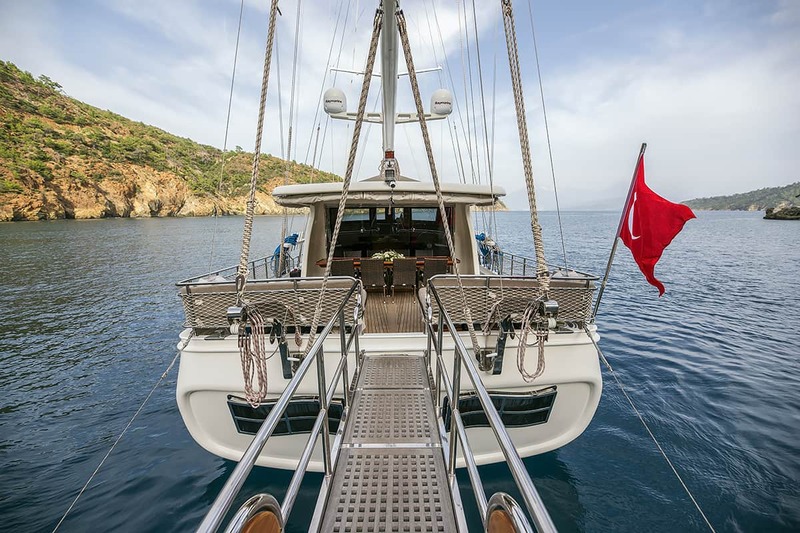 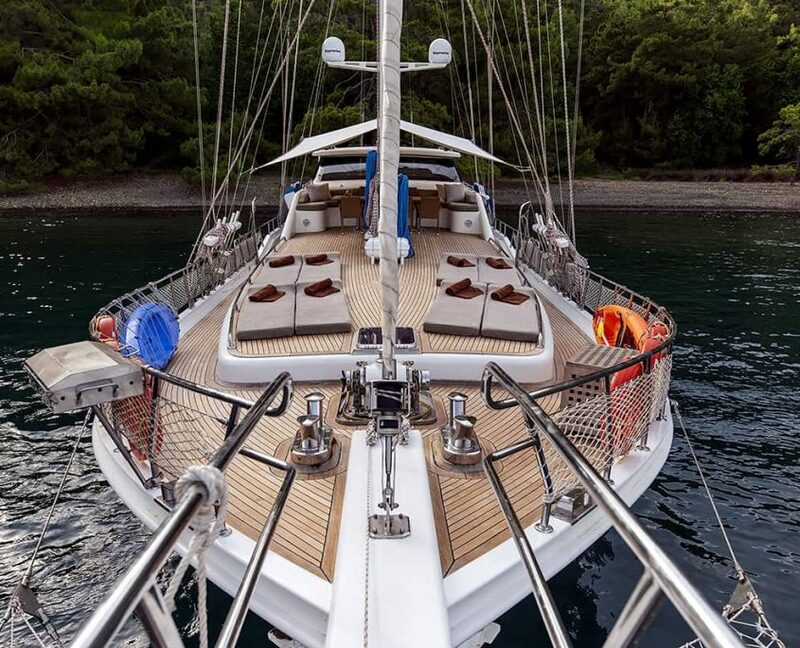 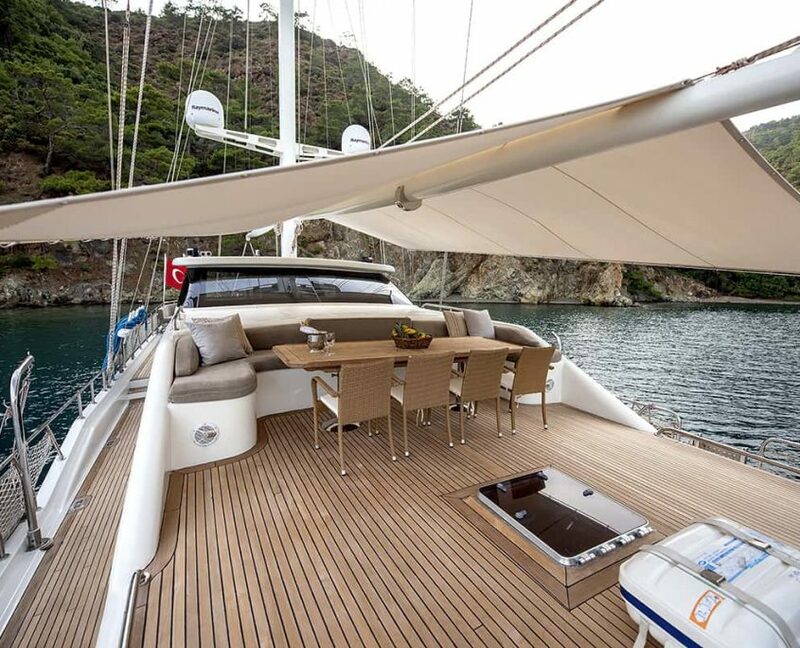 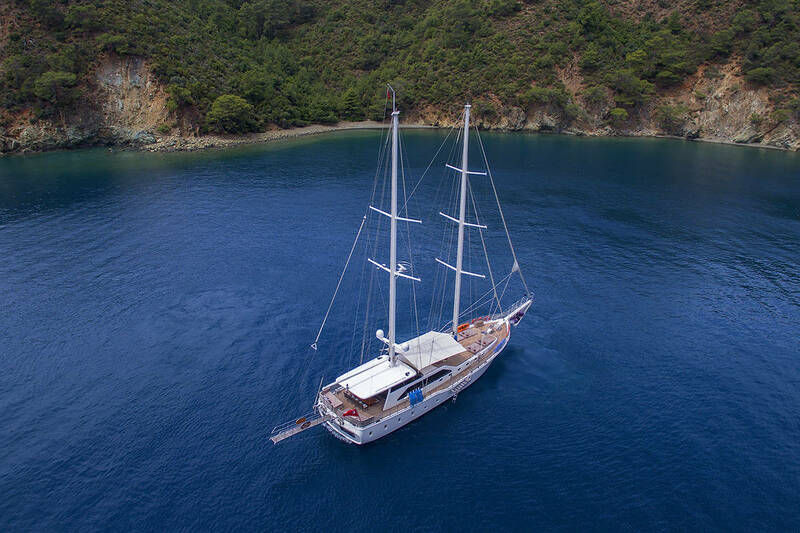 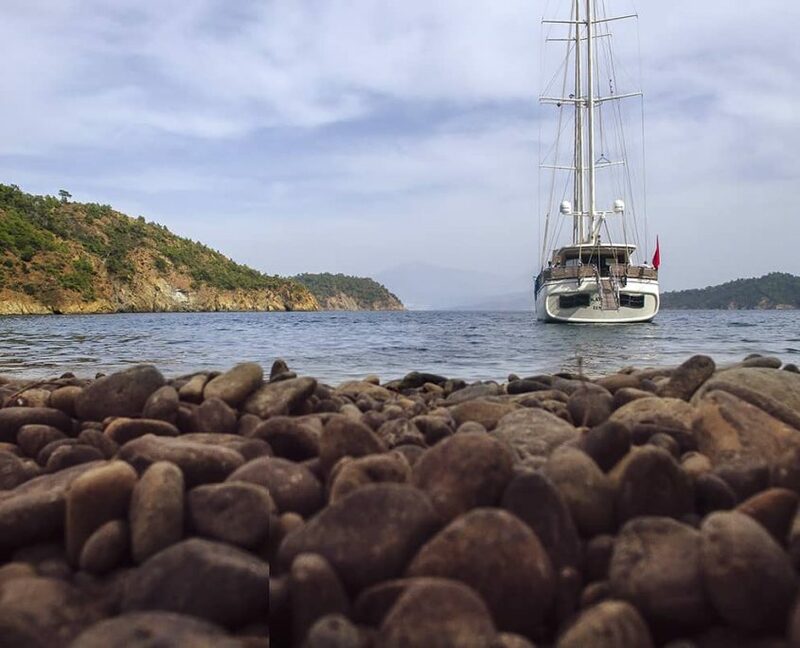 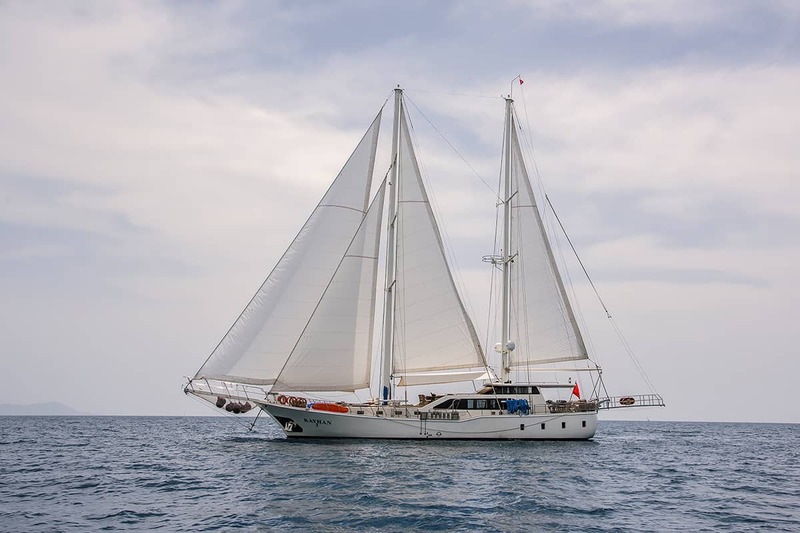 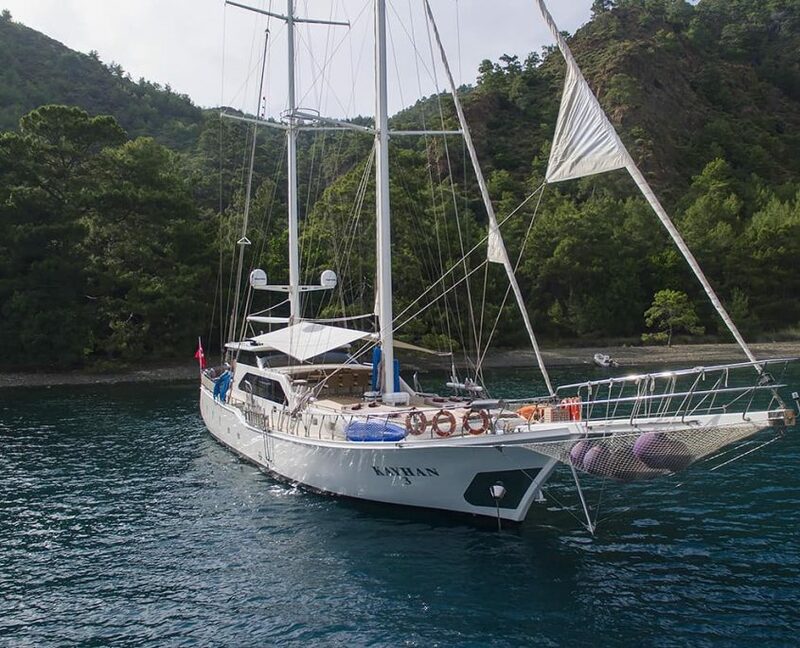 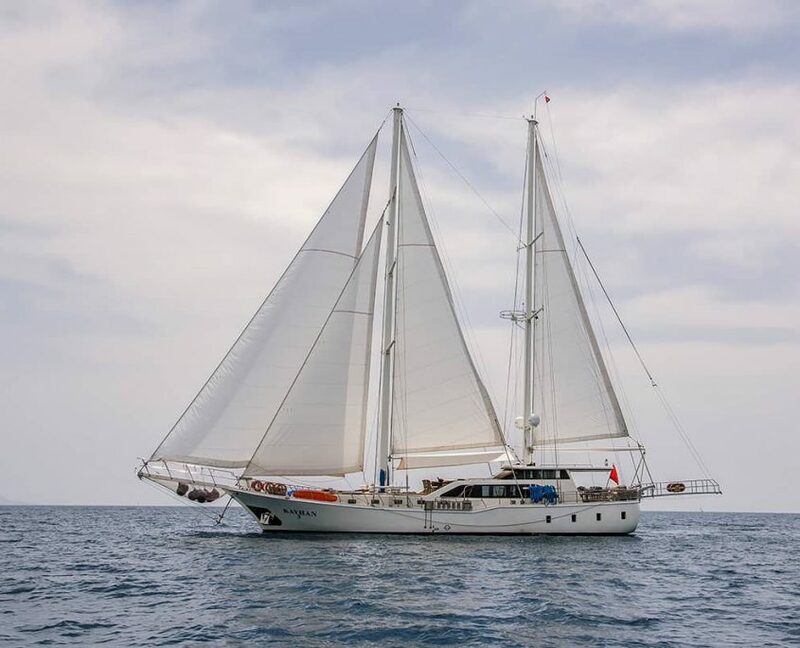 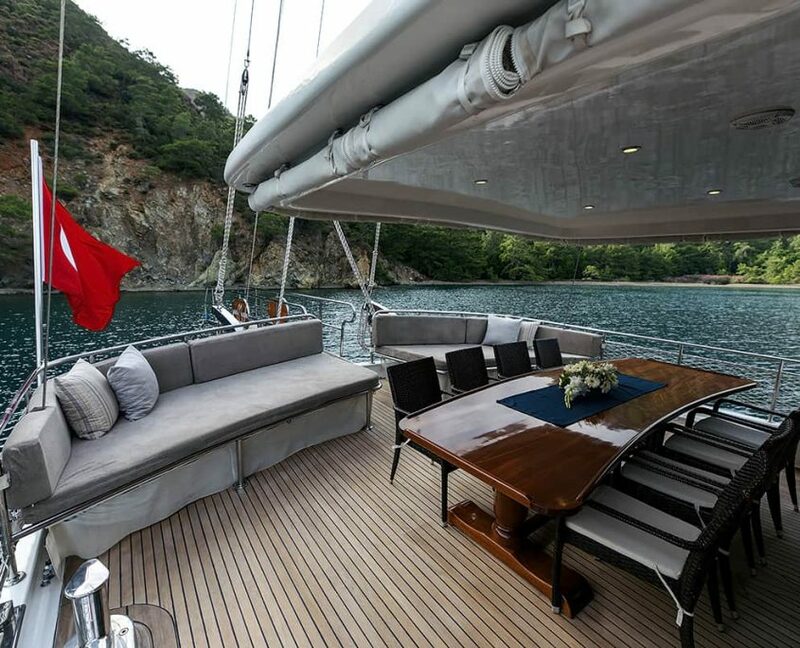 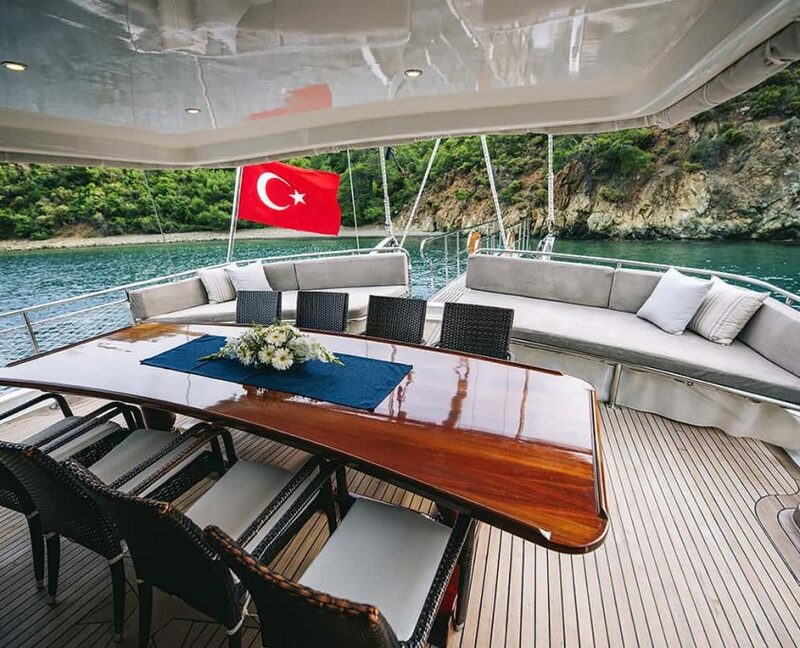 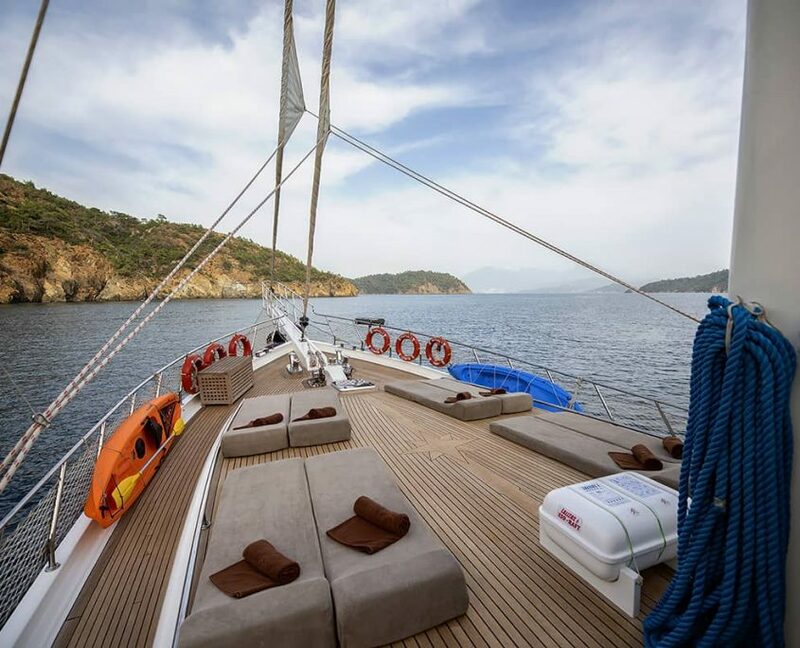 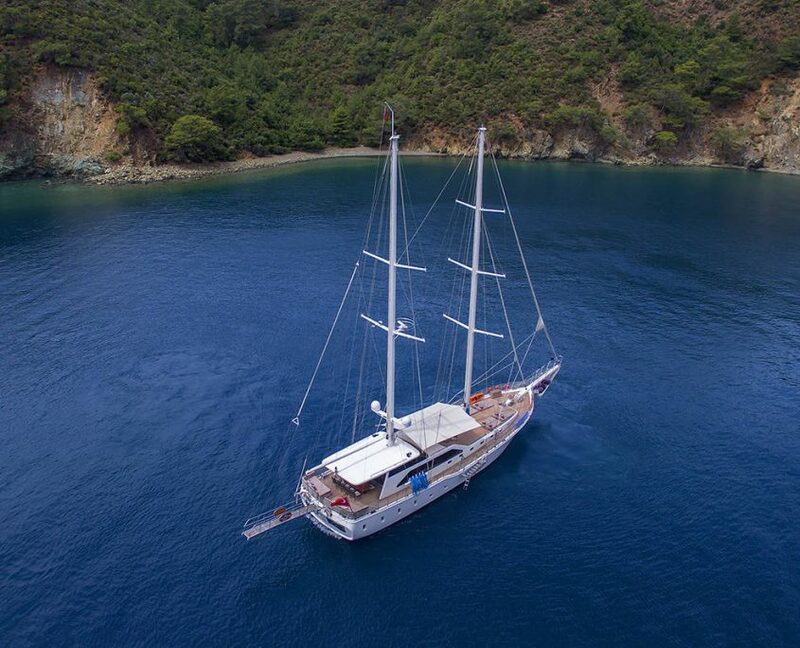 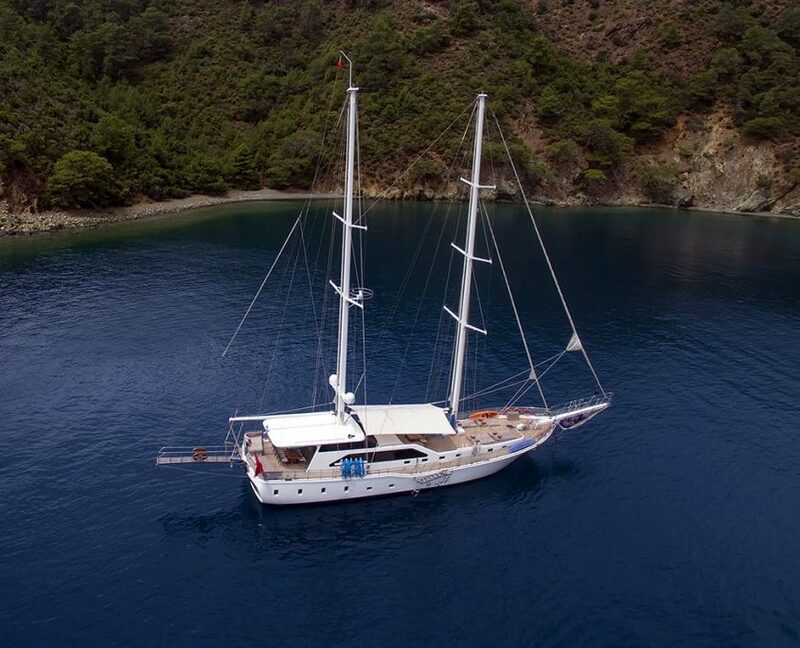 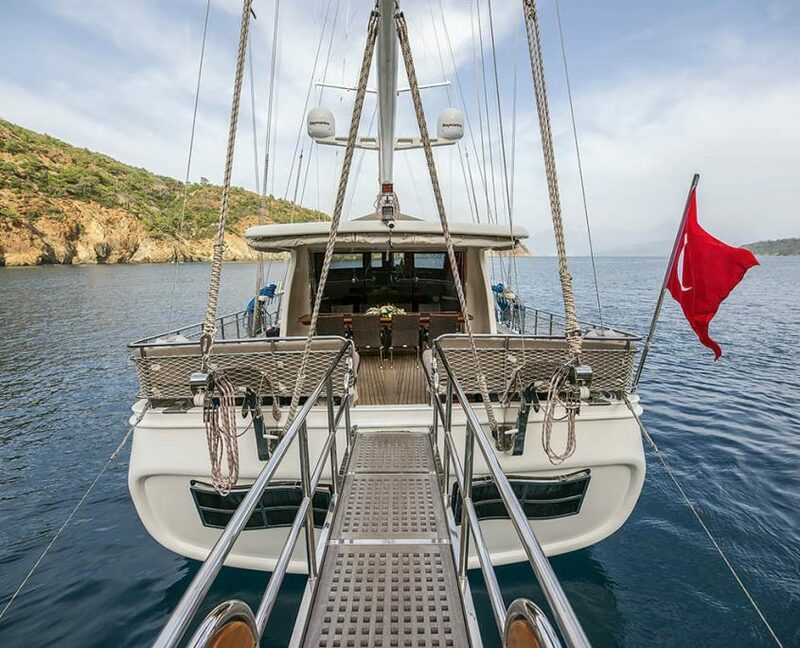 One of the newest gulets to enter the turquoise waters of Turkey is the charming 12 person Kayhan 3. 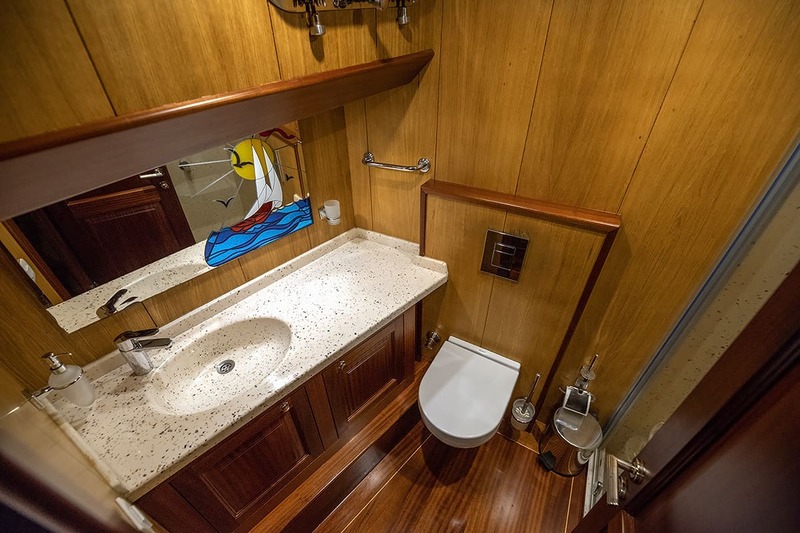 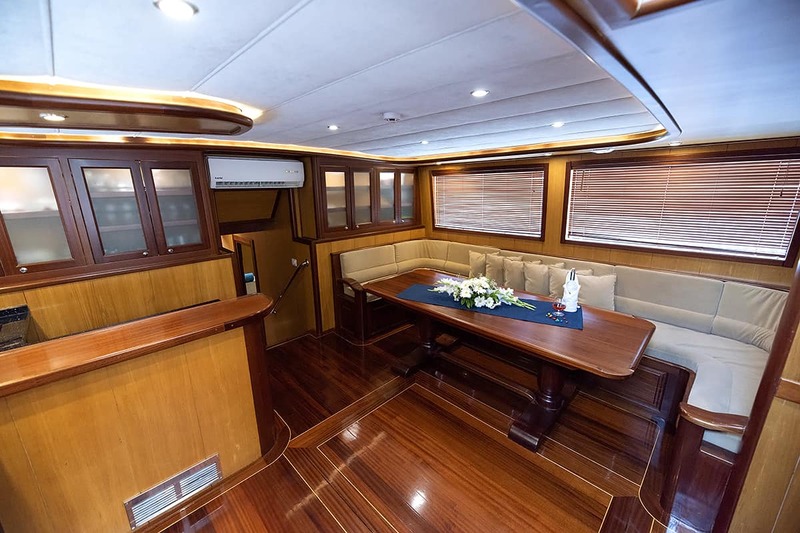 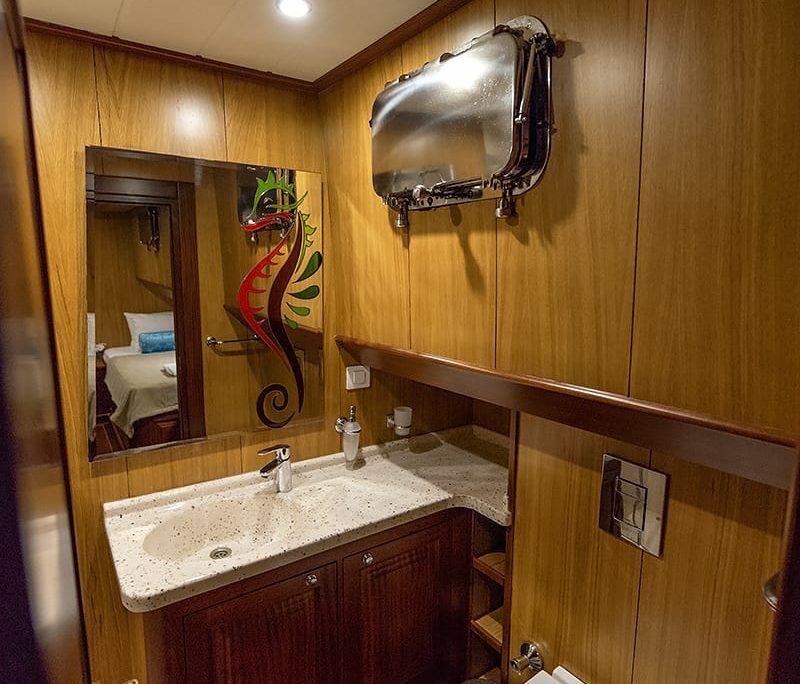 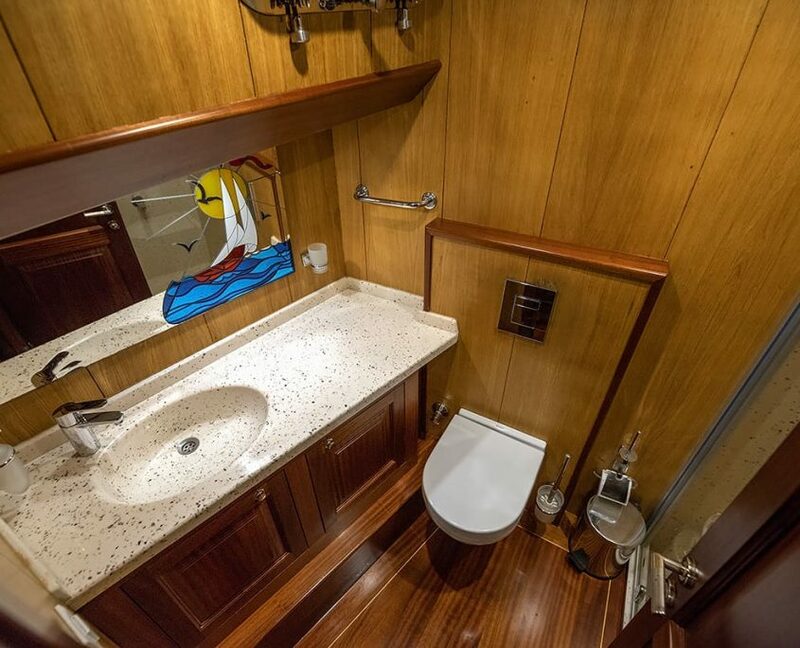 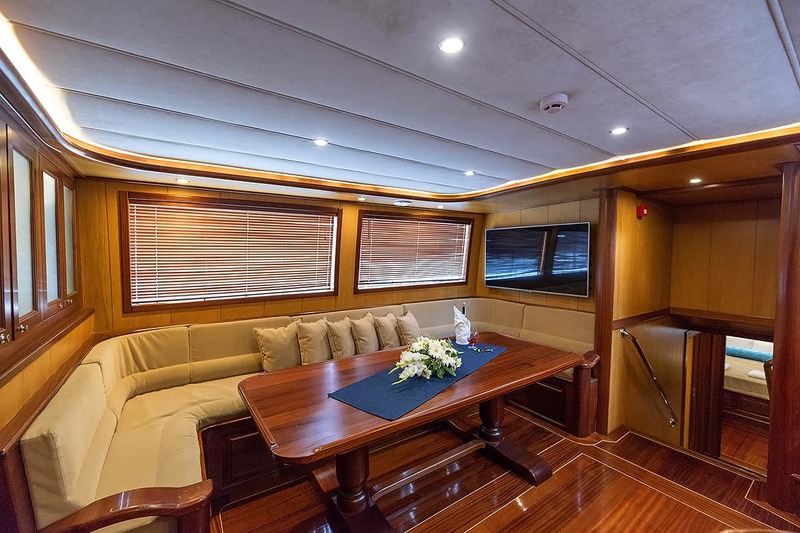 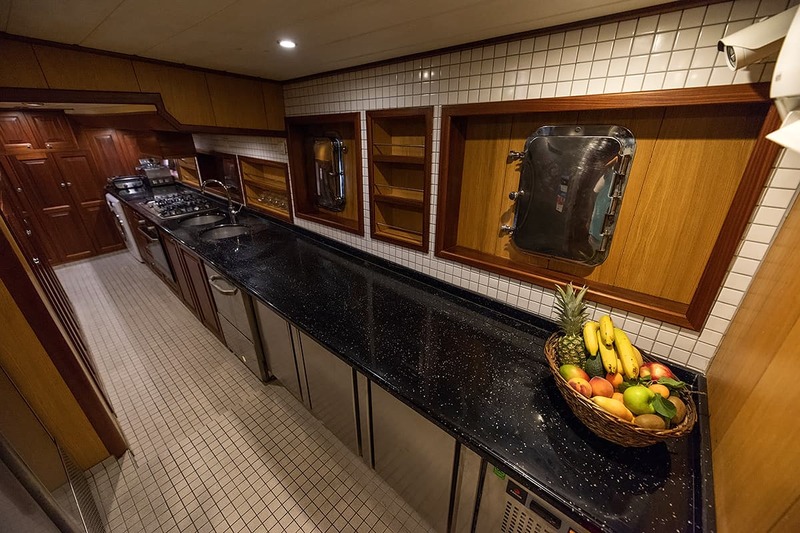 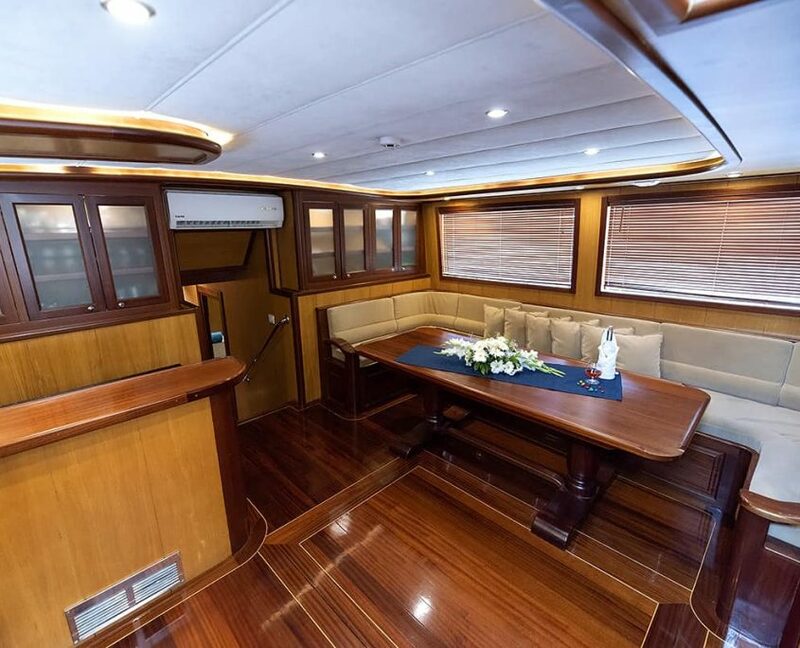 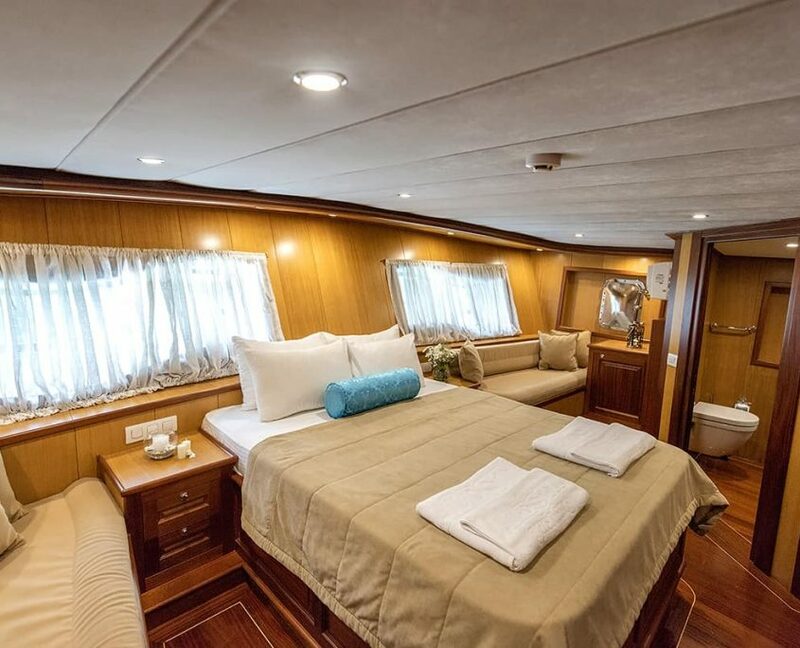 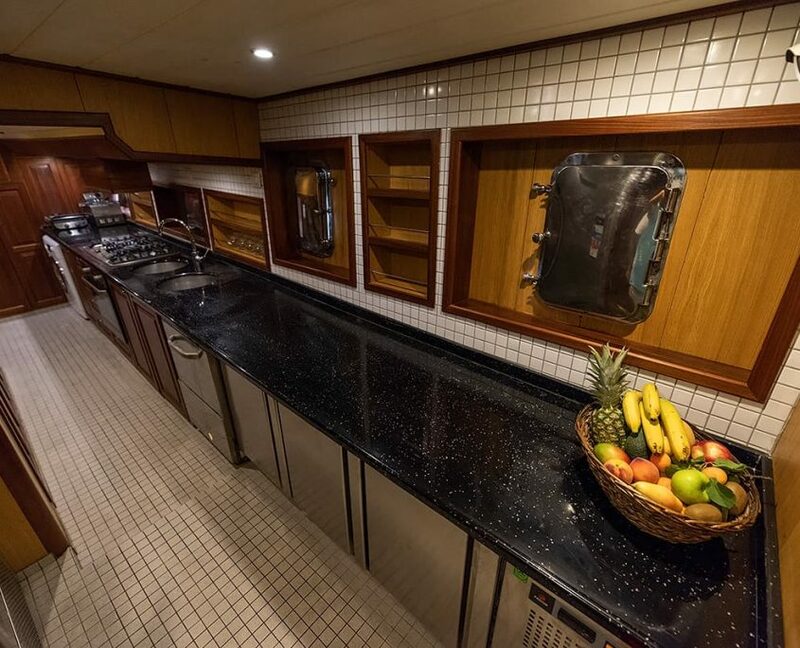 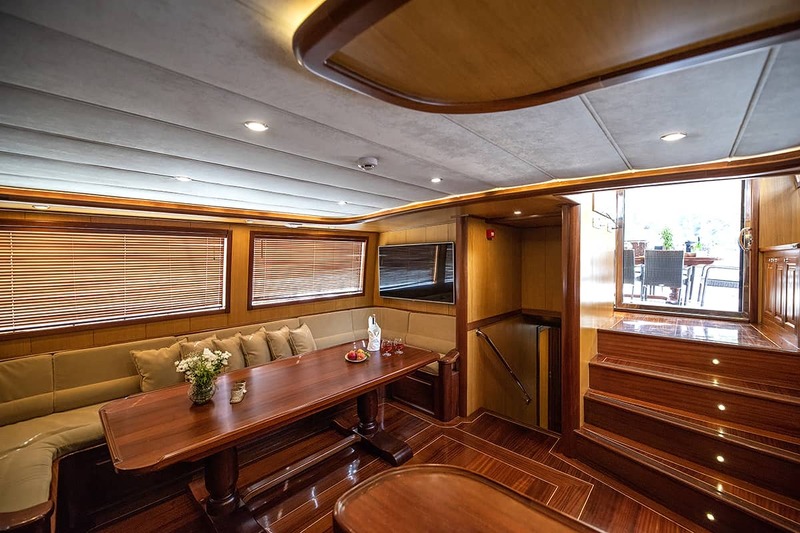 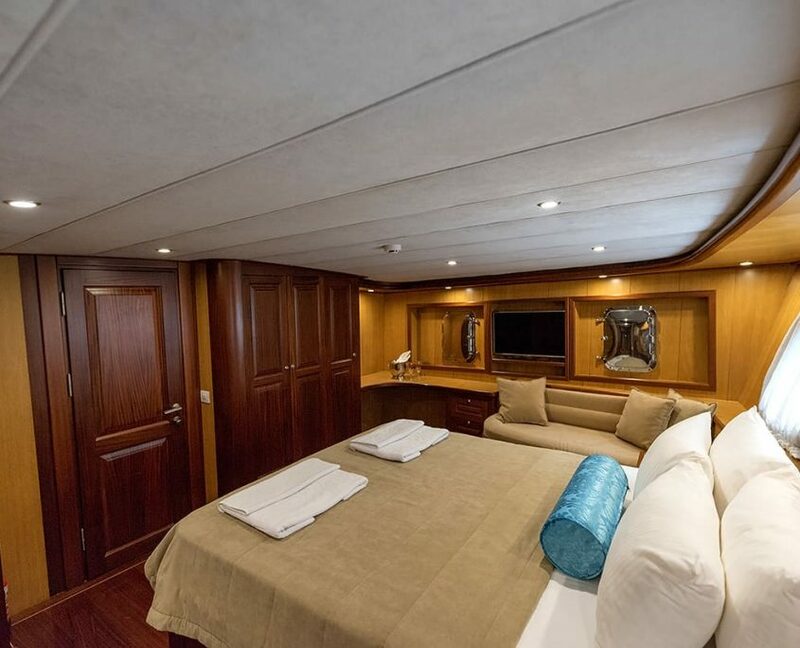 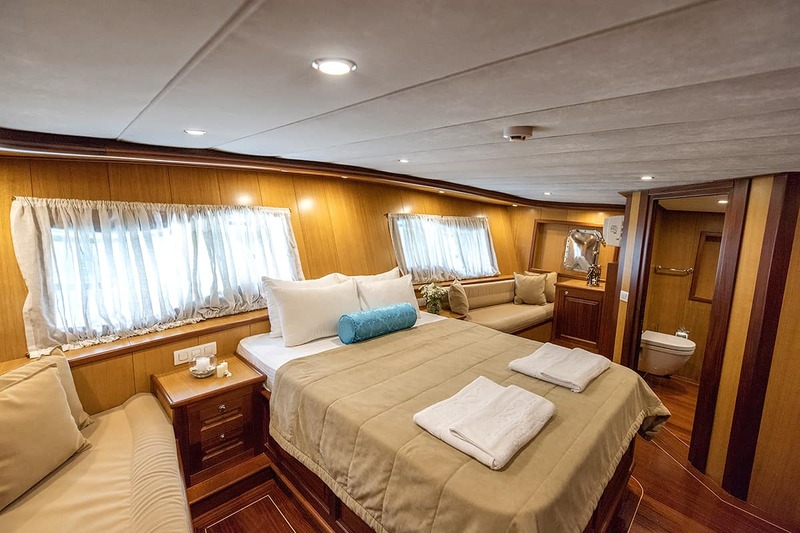 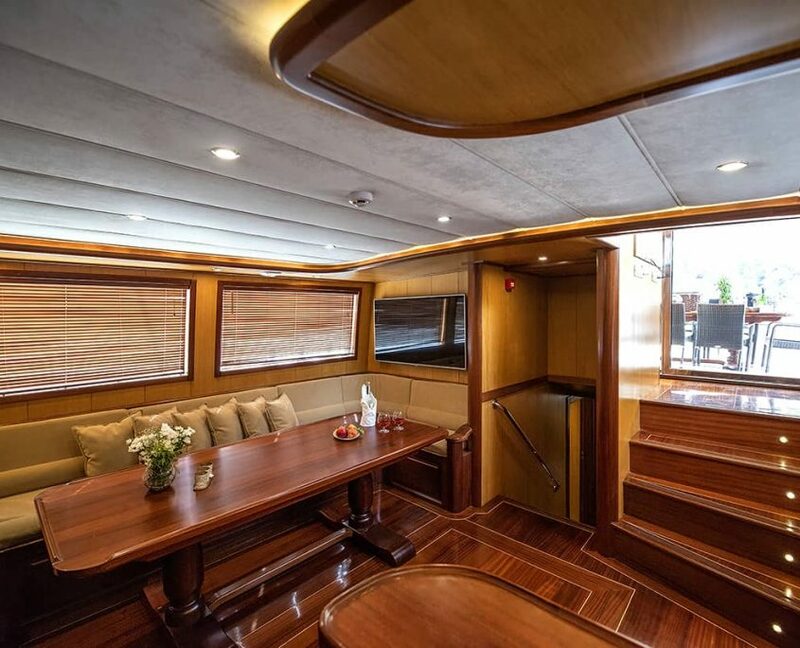 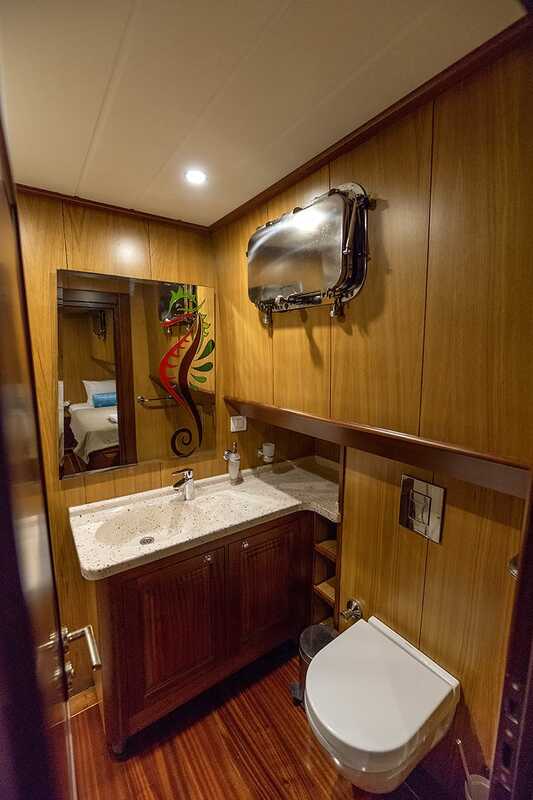 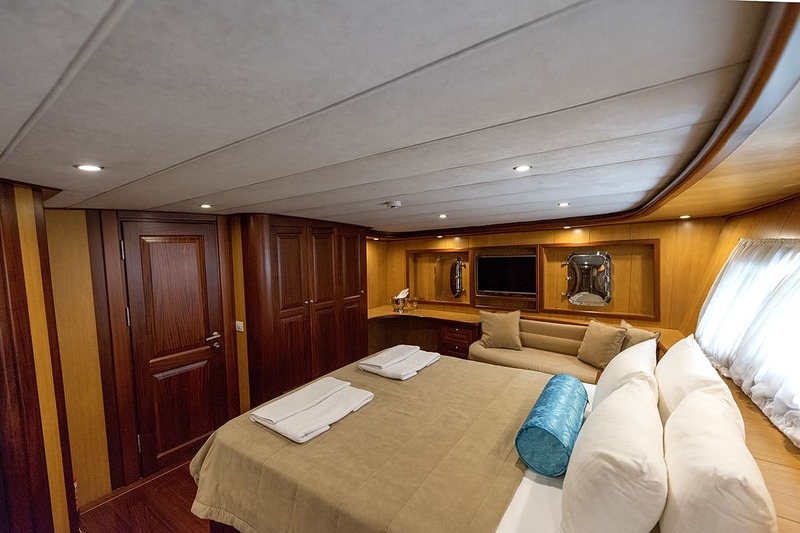 She presents an overall soft color scheme both inside and out and spacious areas to enjoy a luxurious holiday at sea. 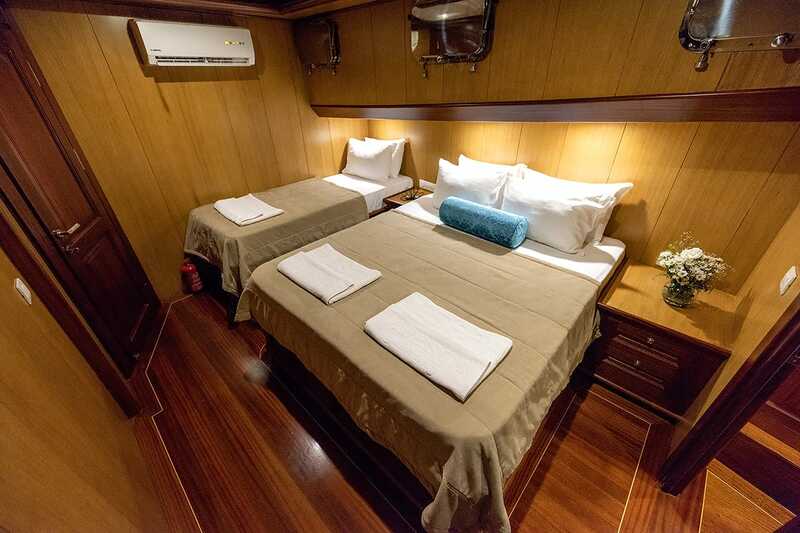 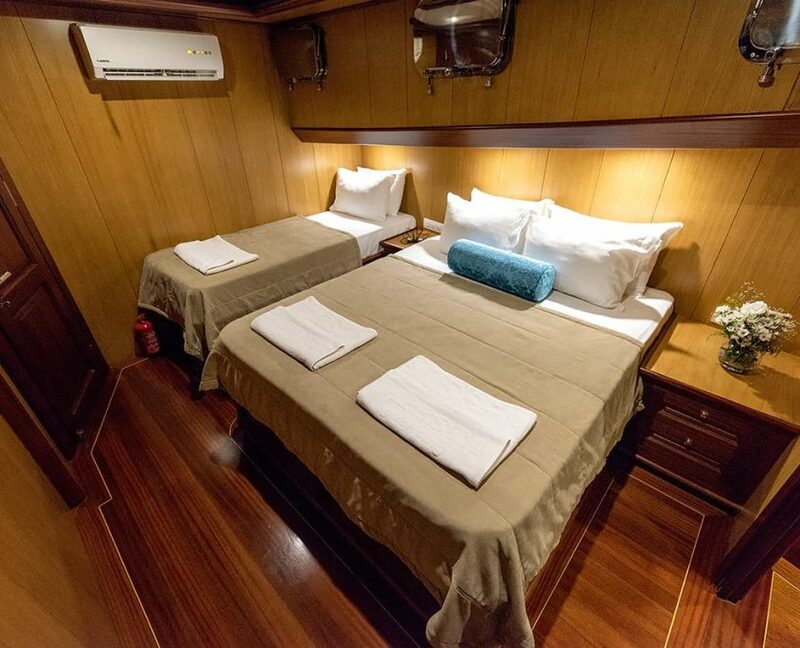 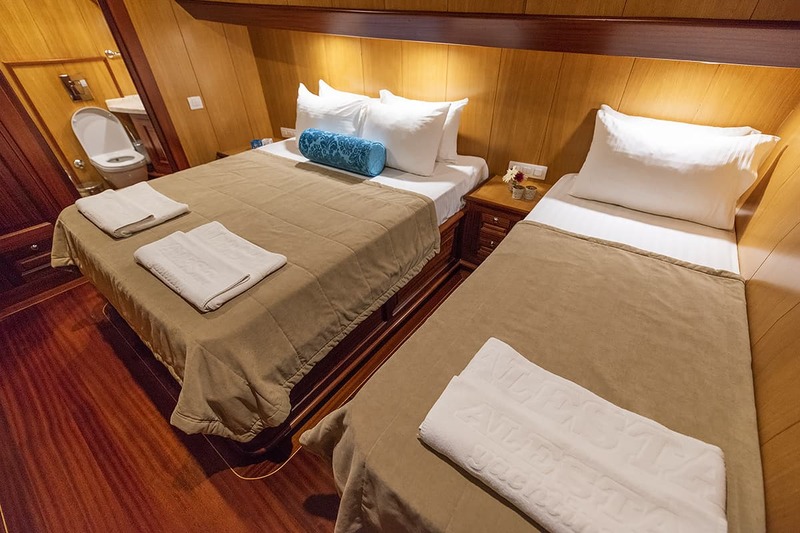 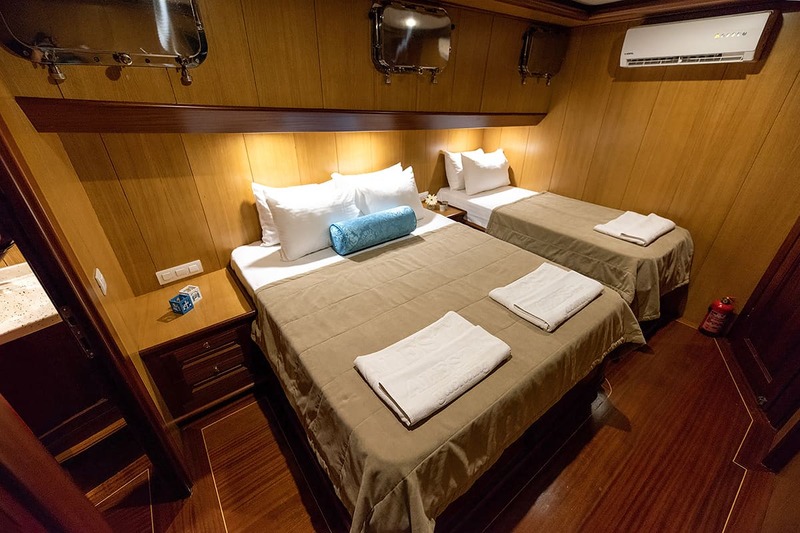 Guest accommodation comprises of 1 master cabin, 2 triple cabins and 2 twicabinsn. 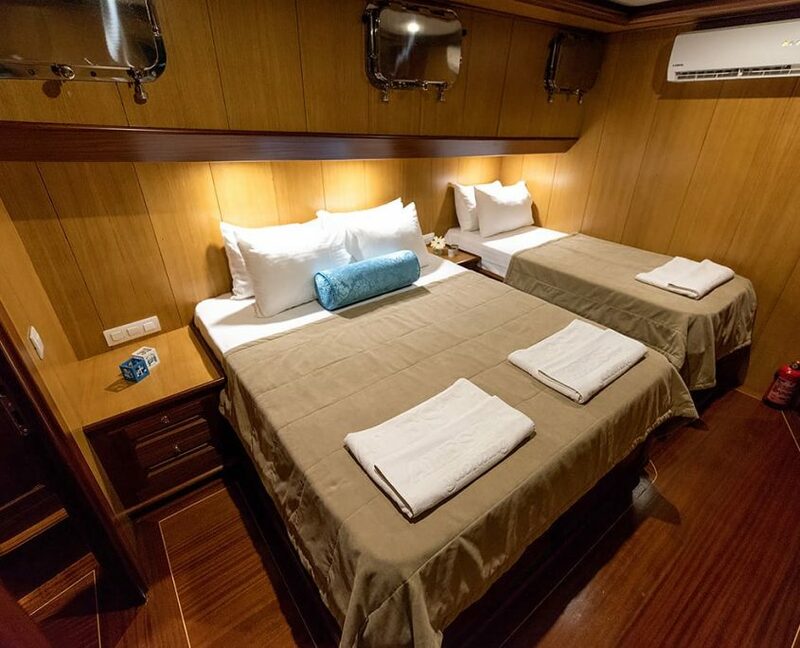 Each is fully equipped with air conditioning, Flat 3D LED TV with satellite, and en suites. 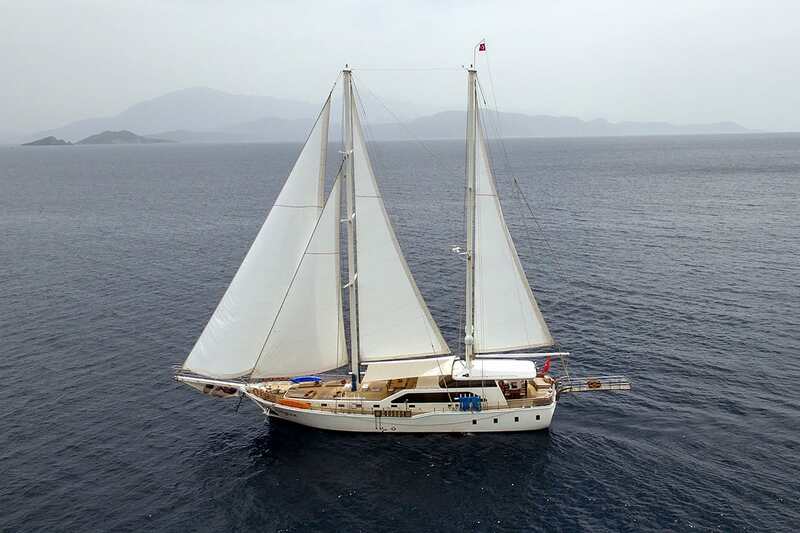 The Kayhan 3 gulet is ideal for single families, as well as multi-family group charters. 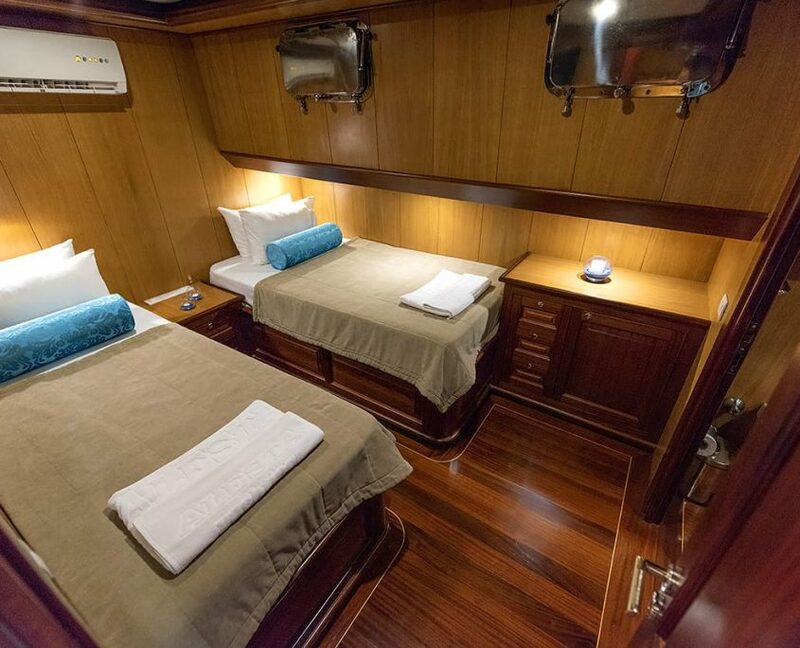 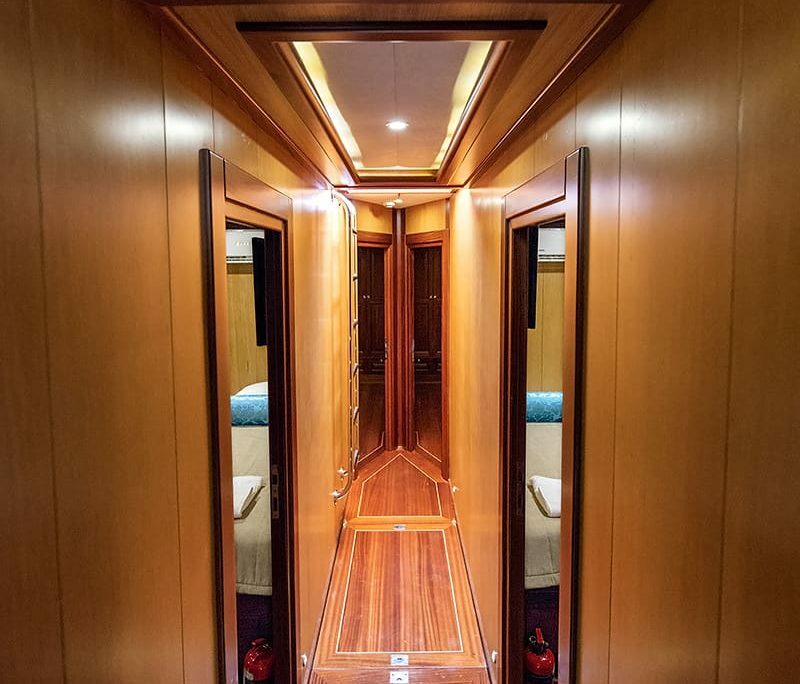 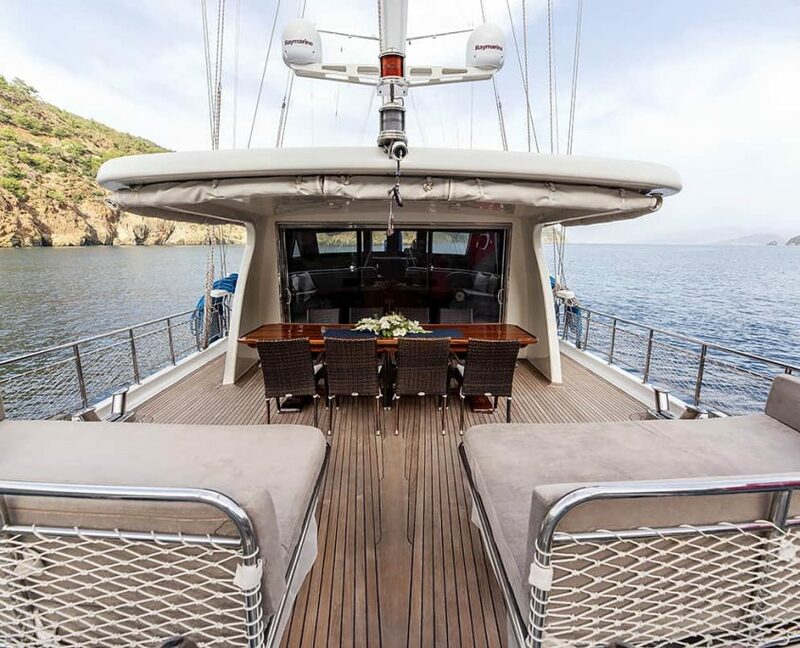 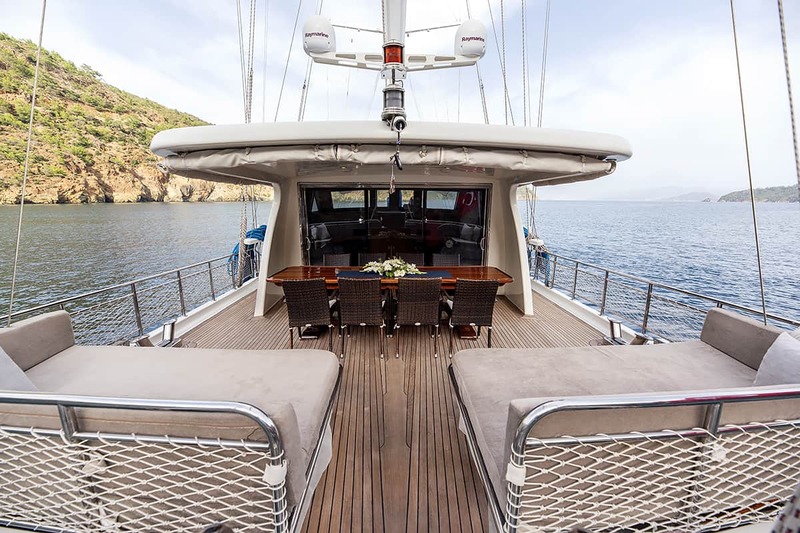 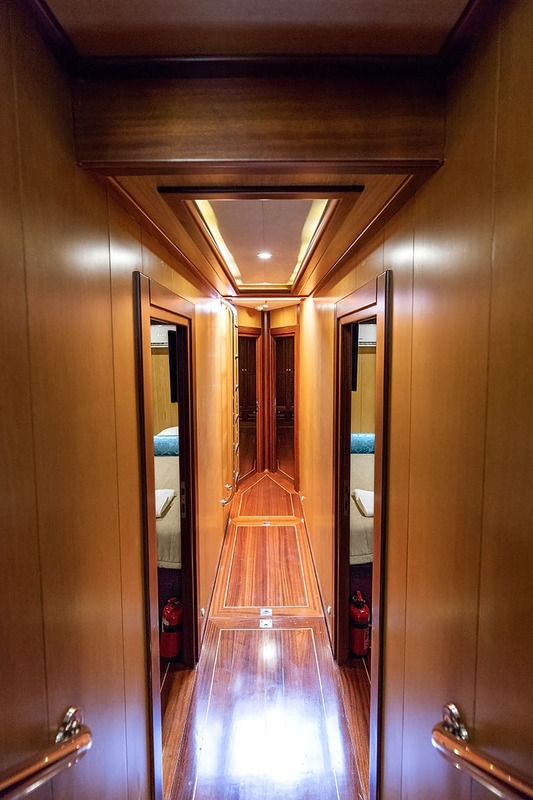 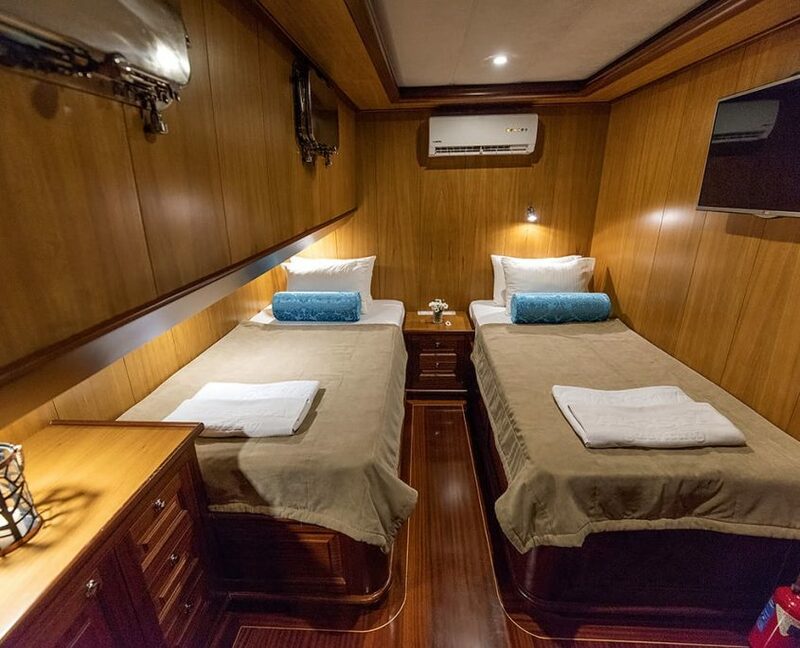 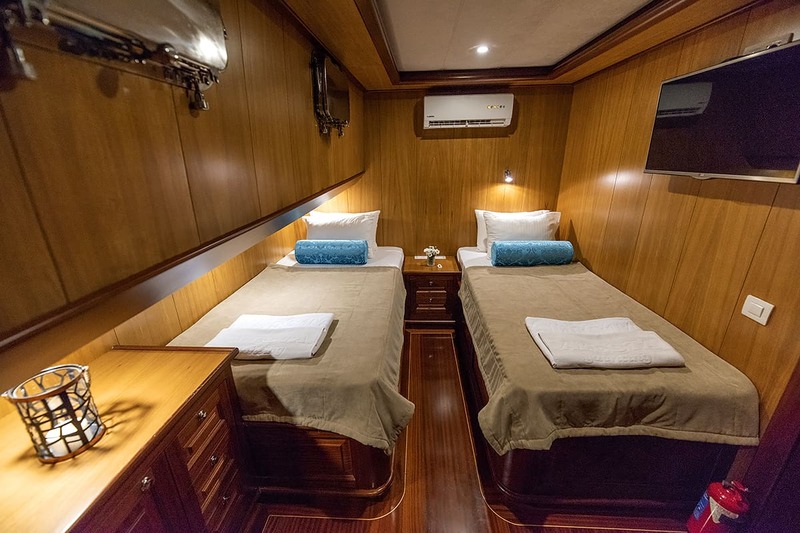 The forward deck is especially designed for total comfort in mind. 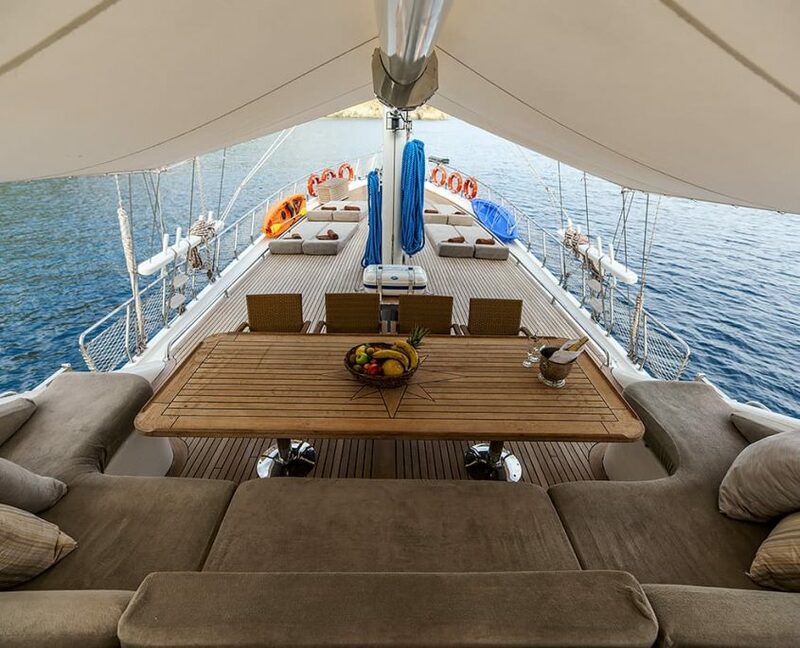 There are sunning mats for each guest, as well as a crescent shaped seating forward with table for memorable sunsets and cocktails (with tent option). 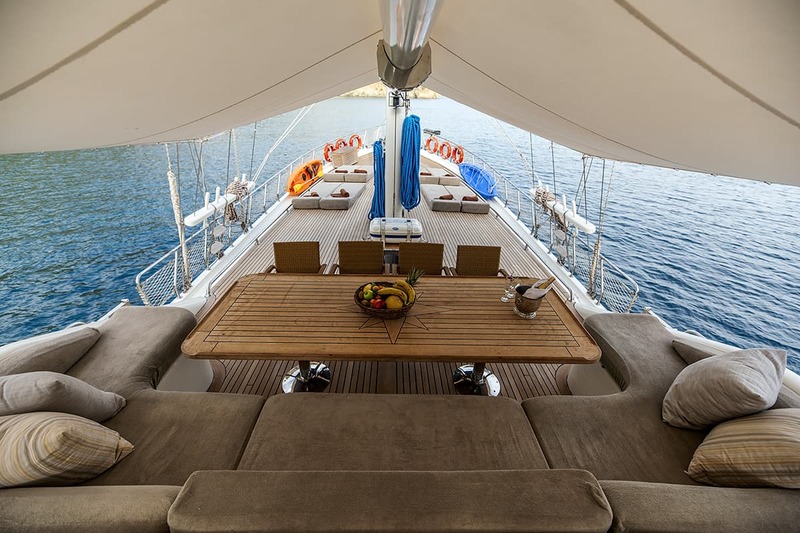 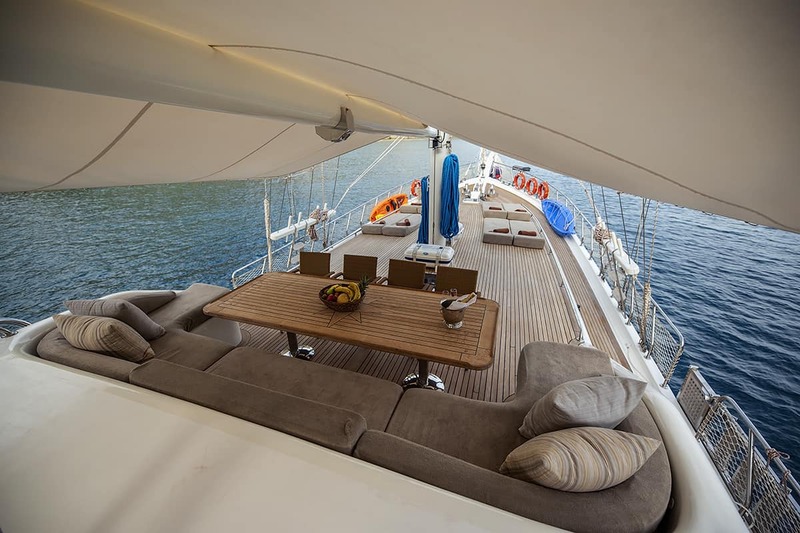 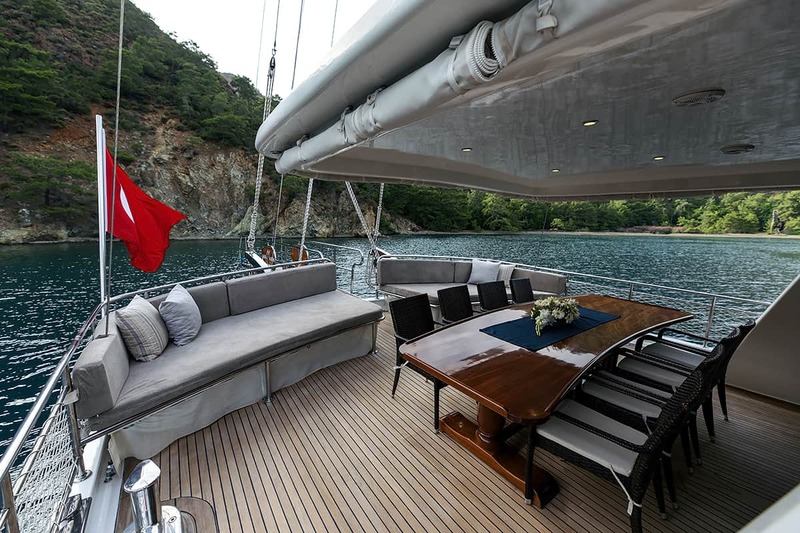 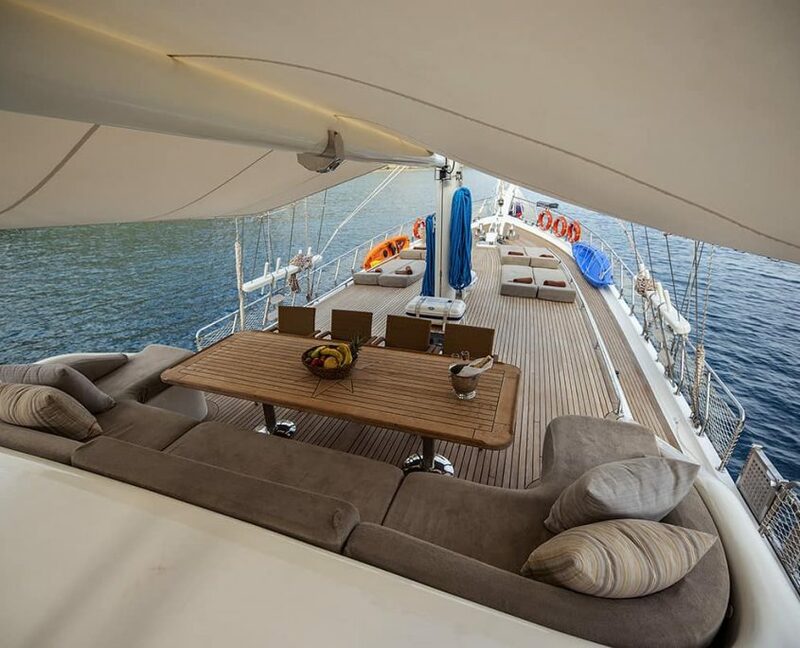 The cozy aft is furnished with large sized cushions as well as shaded alfresco dining. 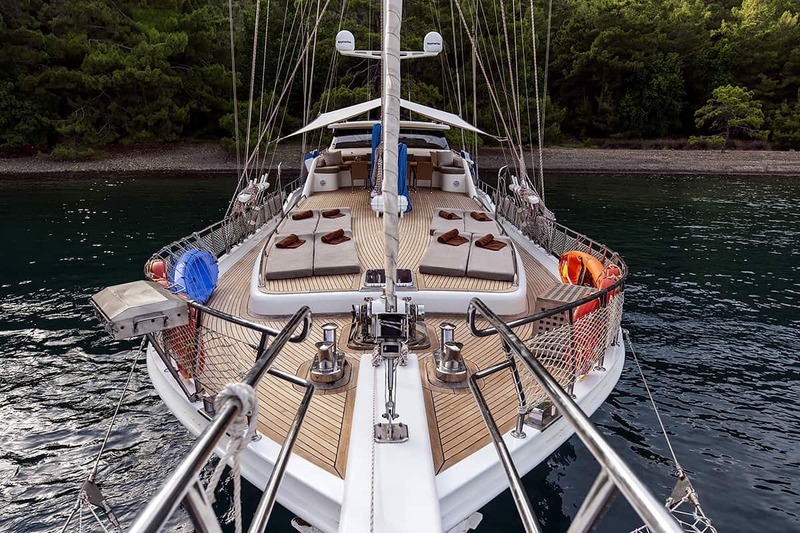 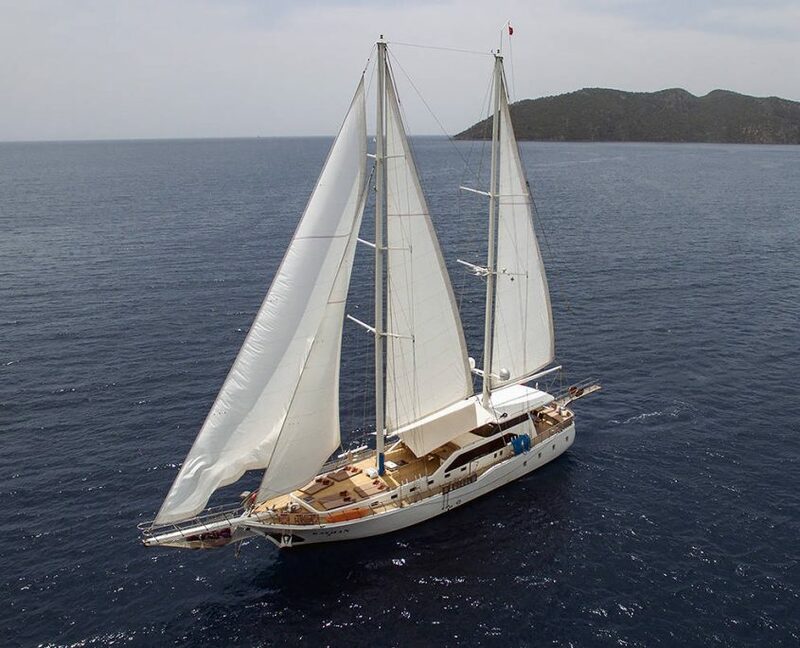 If you are looking for a new build gulet, for your private boat holidays in the Mediterranean, why not consider the Kayhan 3. 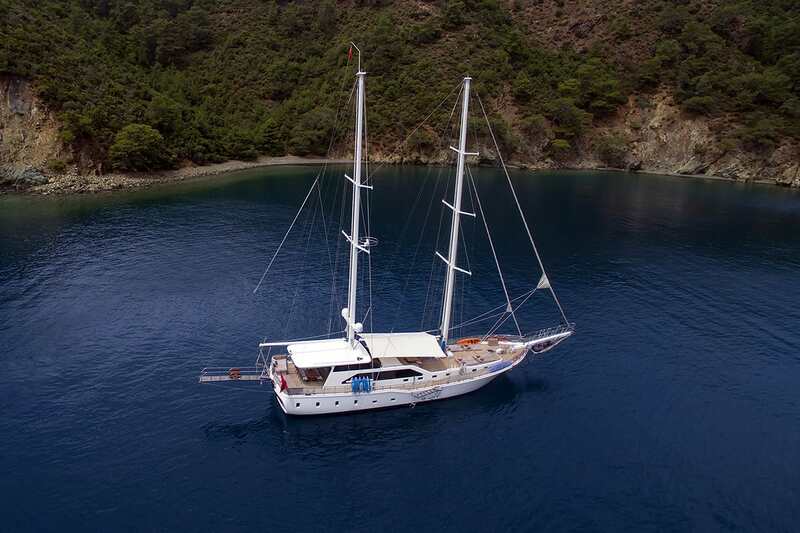 She comes from a fleet of highly recommended gulets who have made many thousands of guests happy over the decades. 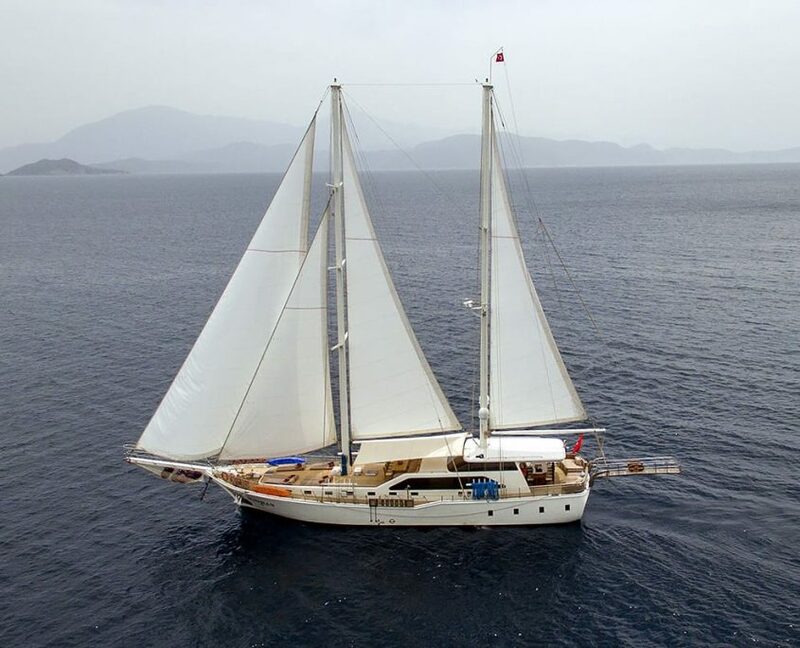 DinghyDingy with outboard (10 hp) engine. 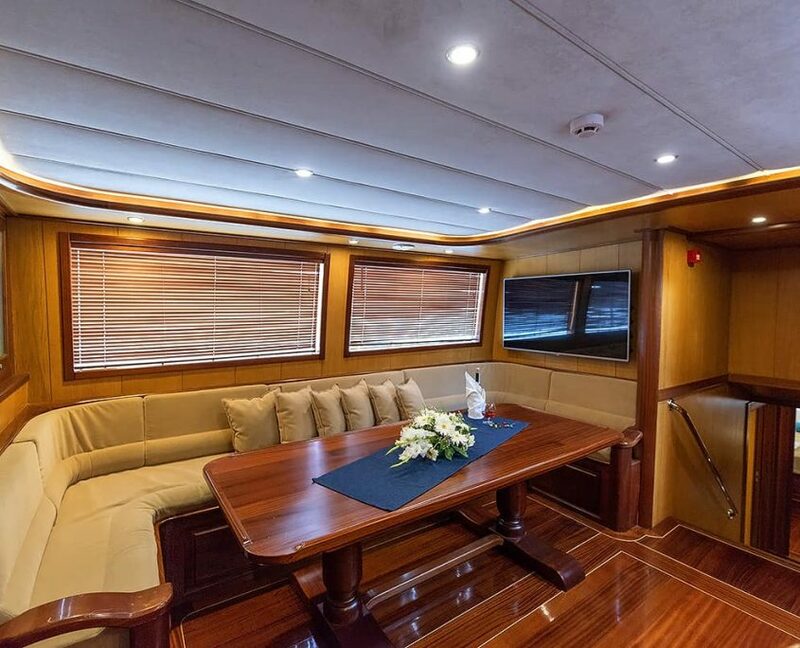 Music SystemCentral music system on saloon and on deck. 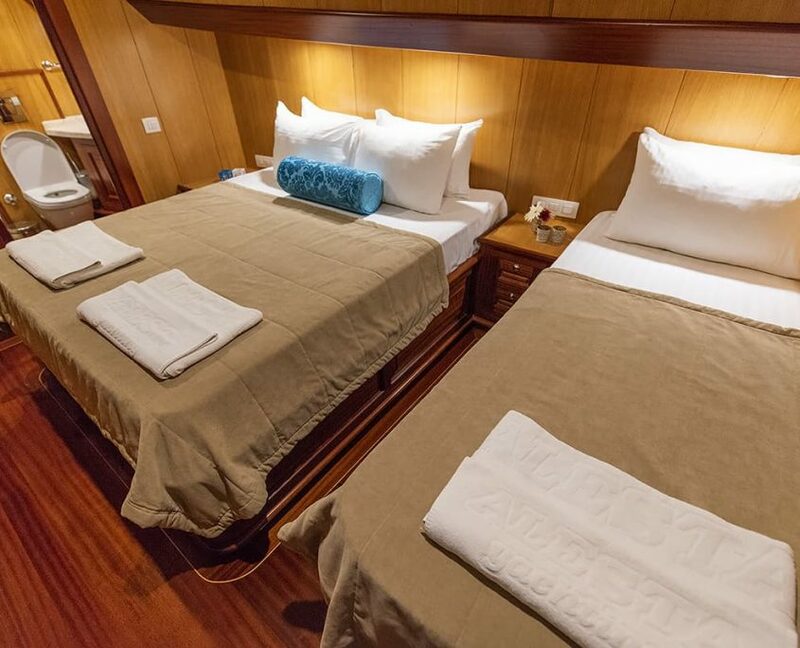 Sheets, pillows and bed linens laundry expenses , towels (have beach towels on board , you may also bring your own beach towel). 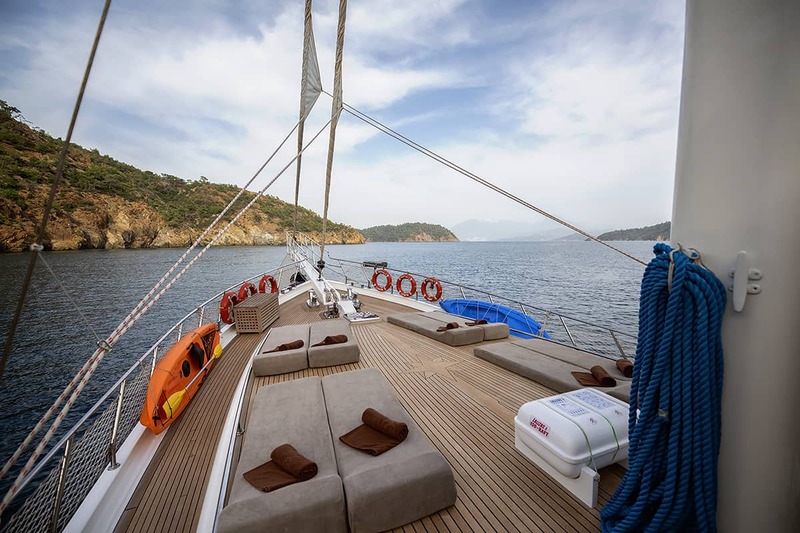 Transit log fee (İts not included on Greek Islands charters). 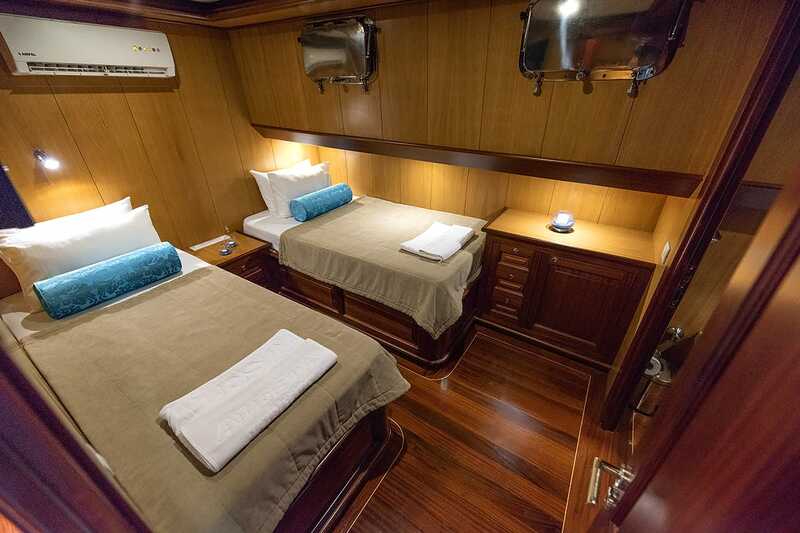 Breakfast, lunch and tea daily, dinner on board .Please check for our menu rates. 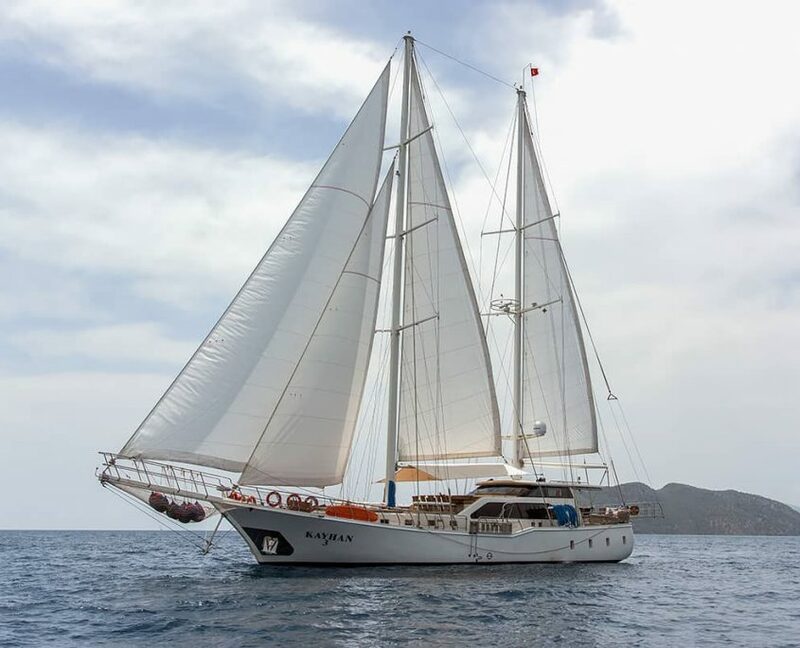 Additional charges to visit the Greek Islands.